It is college acceptance decision time, and of course, financial aid plays a key part in every student’s decision about where to go to college. 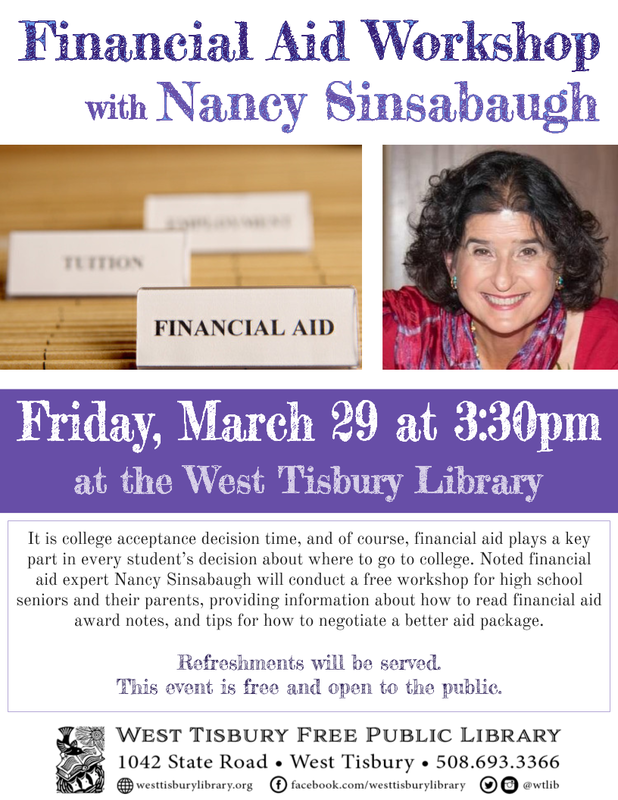 On Friday, March 29 at 3:30pm at the West Tisbury Library, noted financial aid expert Nancy Sinsabaugh will conduct a workshop for high school seniors and their parents, providing information about how to read financial aid award notes, and tips for how to negotiate a better aid package.This event is free and open to the public. Refreshments served. For more than thirty years, Nancy Sinsabaugh has worked in the field of financial aid, consulting with colleges and universities as they assist students seeking ways to finance their education.